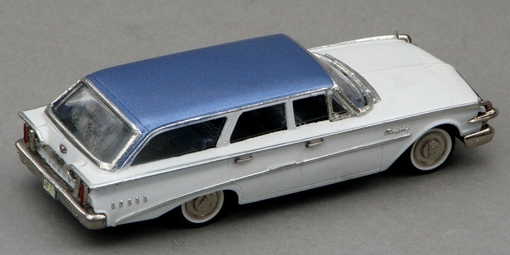 A few years ago I got hold of a Brooklin Models 1960 Edsel convertible and in one of those moments of rash enthusiasm decided to scratchbuild an estate roof on to it to make a Villager wagon, which would fill a gap in my Edsel collection. 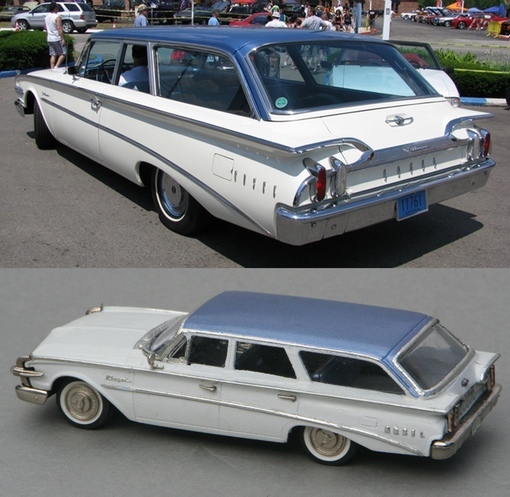 This was a rare bird (only 275 built before Ford finally pulled the plug on Edsel production) which essentially shared the 1960 Ford body, and I found the wagon roofline particularly attractive. Unfortunately I ran into problems with the build and chickened out (it’s a long, sad story) and set the whole thing aside. For about 5 years. Meanwhile, fellow chopper John Quilter took the sensible approach to building his own Villager by making resin castings of the Brooklin bumpers and grille and fitting them into the Ixo body. I could have done the same, but clung to the idea I could make my Brooklin conversion work. 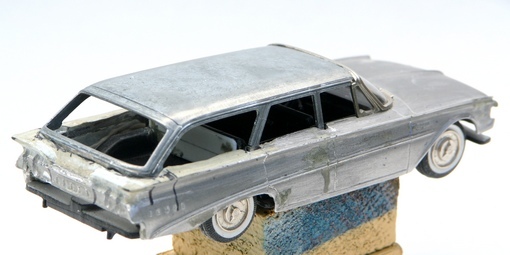 Then along came the Ixo 1960 Ford wagon. 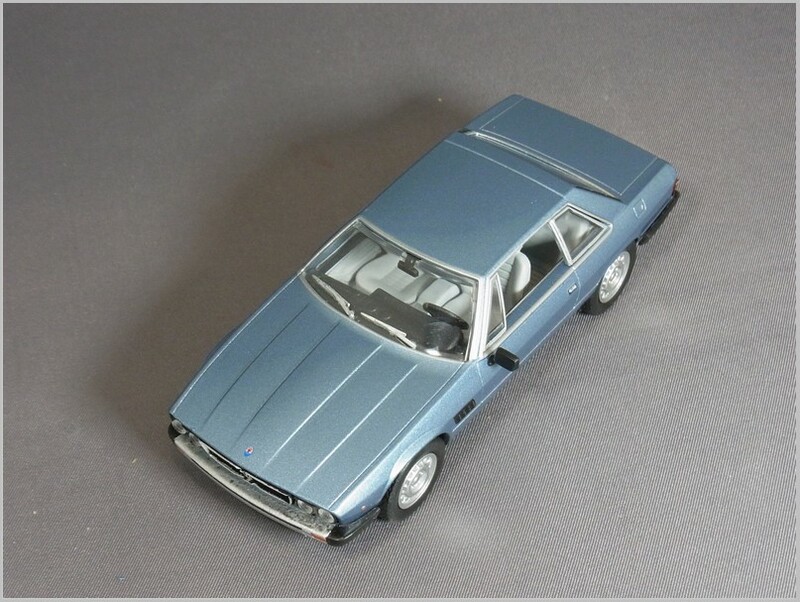 I bought a couple of them and found that the roof was a remarkable good fit for the half-demolished Brooklin body. After carefully sawing it off the Ixo body I glued it in place and it only needed a touch of filler here and there to blend it into the lower body. 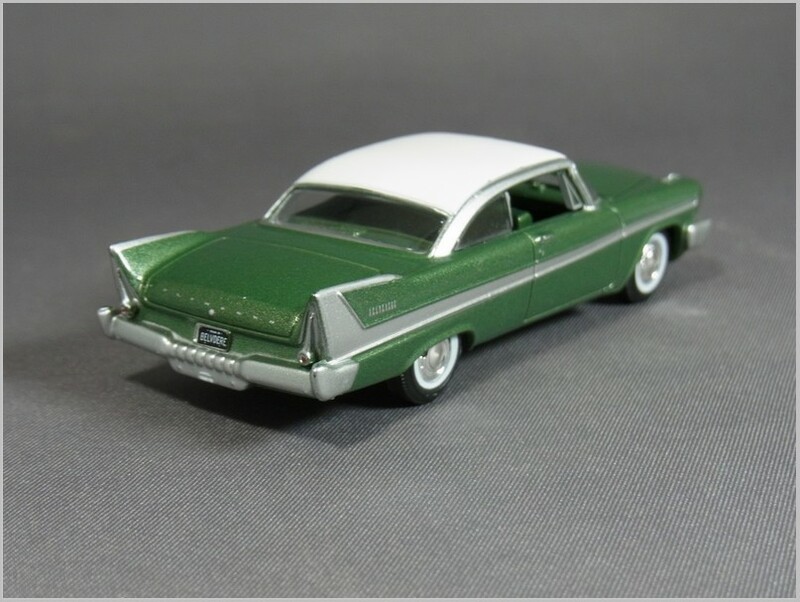 The rear fins on the wagon, curving their way around the tail-lights, differ from both the Edsel sedan and the Ford wagon, so those had to be fabricated. After that it was only (hah!) a matter of tidying and detailing. I had kept the Brooklin seats but the Ixo seating unit sat better in the “blended” body so I used that, but tarted up the seats a little to make them look more like the Edsel upholstery pattern. I replaced the Ford wheels with the Brooklins. 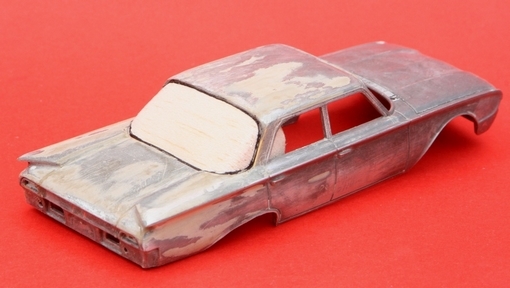 The Edsel wasn’t exactly lacking in brightwork, so a fair bit of work was needed with the Bare Metal Foil. I was going to foil the grille and bumpers but they looked bright enough to match the BMF so I left them alone, although I did drill out the metal headlamps and front sidelights and fitted plastic lenses, which brightened up the front quite nicely. I also remembered to add the “gunsights” on the front corners that weren’t originally fitted to the Brooklin. And that would have been it, really, except that when it came to the knee-trembling stage of final detailing and re-assembly, my nerve went again, and the model just sat there unfinished. However, in the past few weeks I finally got my whatsit back into gear and completed the job. Of course (as a country barmaid once confessed to me) when you start fooling around with the country squire[*] it can be hard to stop. Pretty soon I was attacking another Ixo wagon. 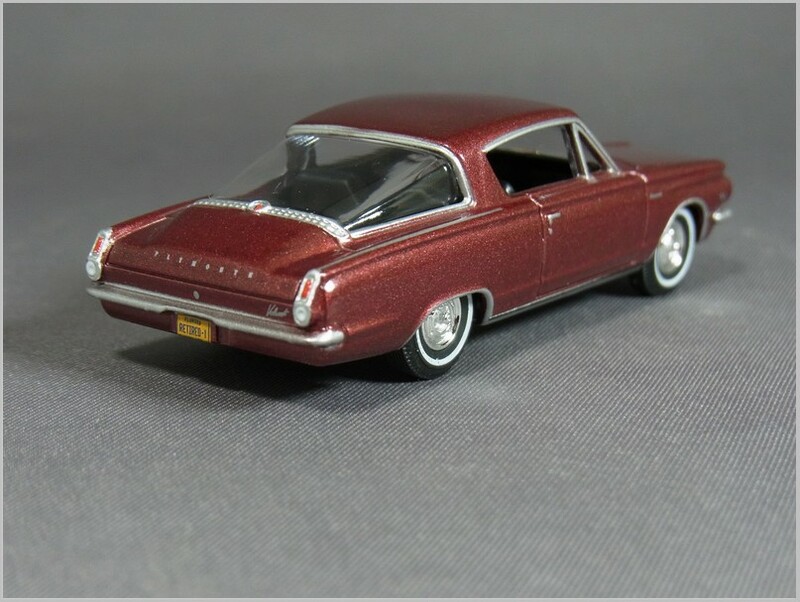 I’ve always admired the styling of the 1960 big Fords but only have a very warped plastic Galaxie (Anguplas) and a Starliner coupé (Motorhead Miniatures) in my collection, so I launched into a sedan conversion. 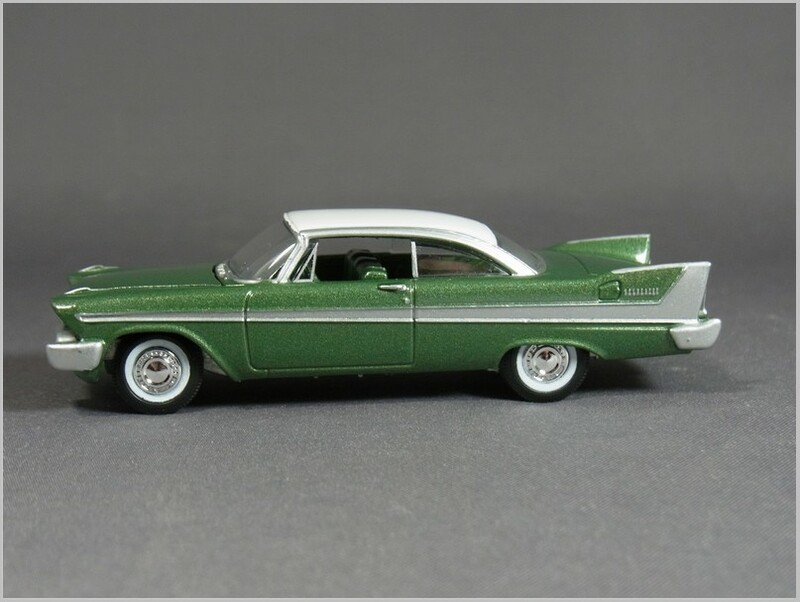 For some reason I found the particular variation of the “Thunderbird” roofline used on the 1960 Galaxie less convincing than on some other Fords of that era, so switched my attention to the Fairlane 500 Town Sedan, with its slimmer rear pillars and huge back window (interesting that in 1960 Ford, GM and Chrysler all featured outsize “bubble” rear windows on some models). 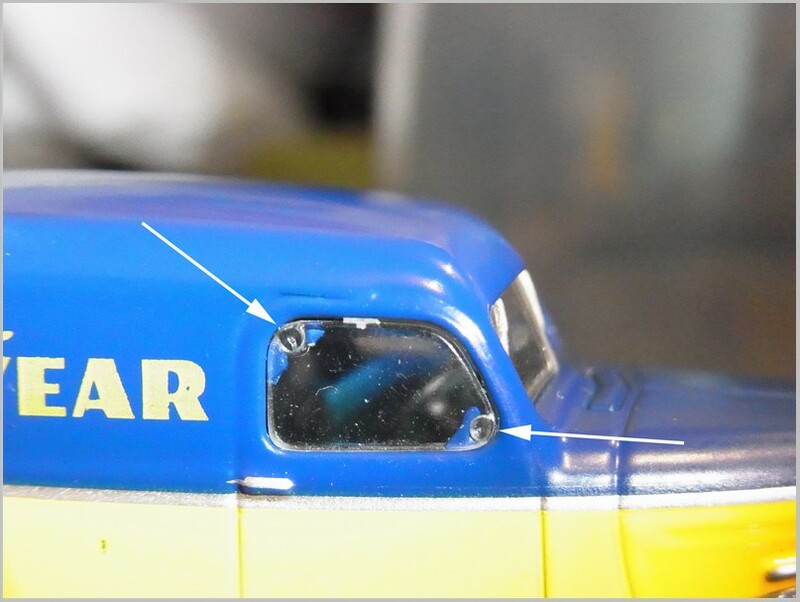 I did at least successfully revive the old trick of carving the rear window in balsa and push-moulding it into heated plastic, with only minor charring of some domestic furnishings, although I did have to take the batteries out of the smoke detectors. And the moulding came out pretty well in the end. The distinctive chevrons on the rear flanks were snipped from small staples. 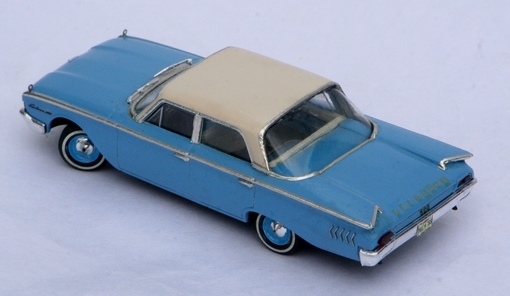 Fairlane 500s had a crest on the nose rather than “Ford” script, so that was done with a tiny colour photocopy. 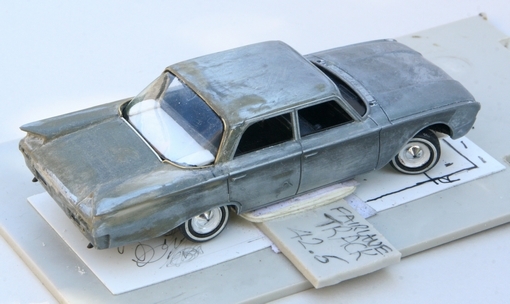 I put “Fairlane” on the boot lid in proper 1:43 lettering and it was pretty much invisible, so I went for over-scale lettering which may have been a bad idea (not helped by the elderly decal sheet having yellowed somewhat) but I wasn’t going to scrape it all off. 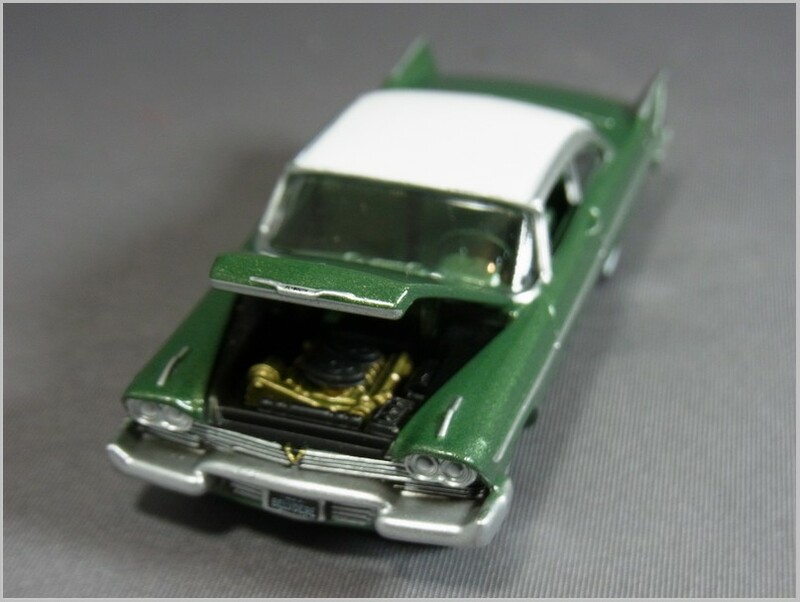 Since I can’t print badges in chrome or white, I put “Fairlane 500” script on the front wings in black, which sounds like another daft move but if you look at photos of real cars the script is often half in shade and could almost be black …. OK, don’t believe me. At least it gives the impression that there’s a badge there. The grossly over-scale chrome gunsights used by Ixo were replaced by something a little more delicate. 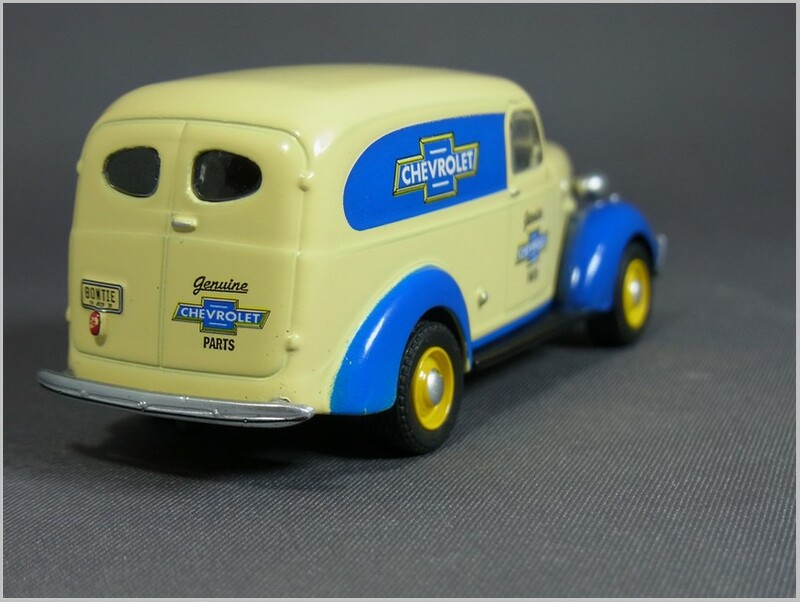 The Ford was done at the same time as the Edsel, and sat around unfinished for just as long, so I am just glad to get these models completed at last. It has to be said that doing a decent paint job, applying BMF tidily and putting small pieces of trim back neatly are all things that benefit from regular practice, so after the long lay-off this was not my finest hour in those areas. Close up, there are too many raggedy details, and after spending so long trying to get things right, it’s a little discouraging (said he, apparently calm but inwardly fuming). Of course I don’t plan on letting you get that close. Just stand back and enjoy the general impression. No, a bit further. Further. That’s it. Nice, eh? 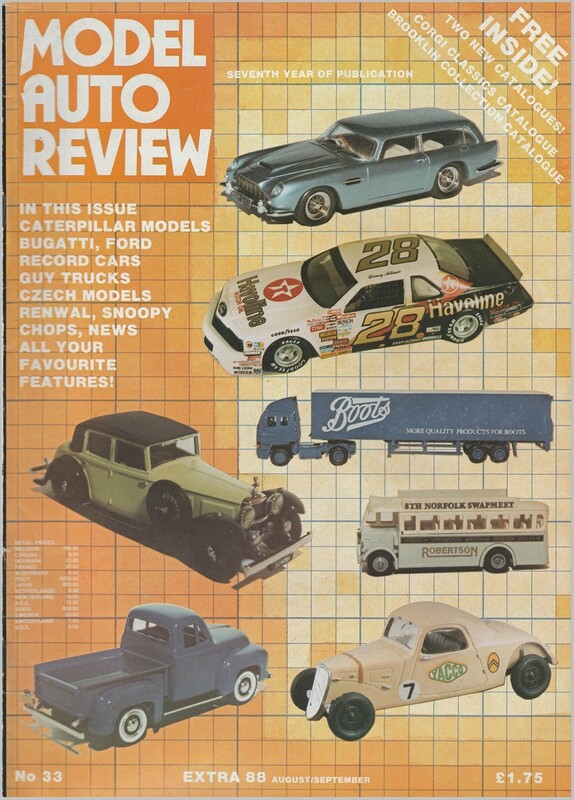 And here it is alongside an original Ford brochure photo. 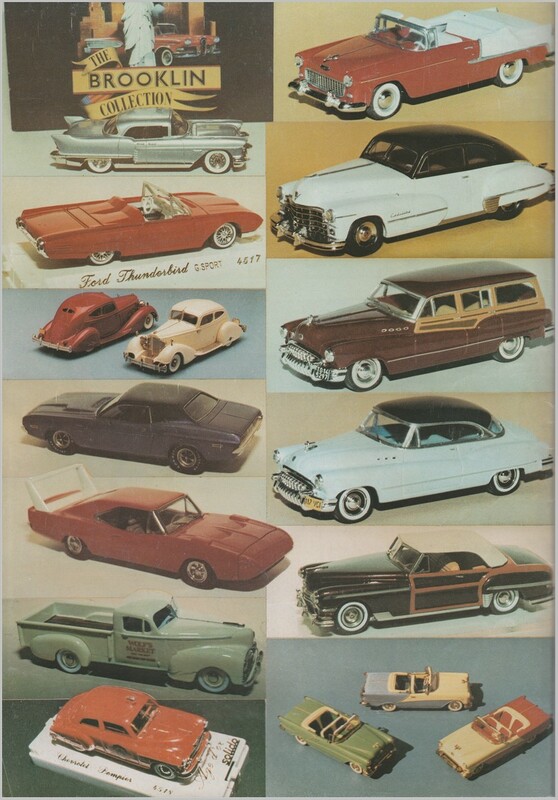 Upper Photograph from period Ford Brochure, lower the Authors Handiwork. [*] OK, so the Ixo is officially a Ranch Wagon, not a Country Squire. Listen, if you’re going to be difficult …. 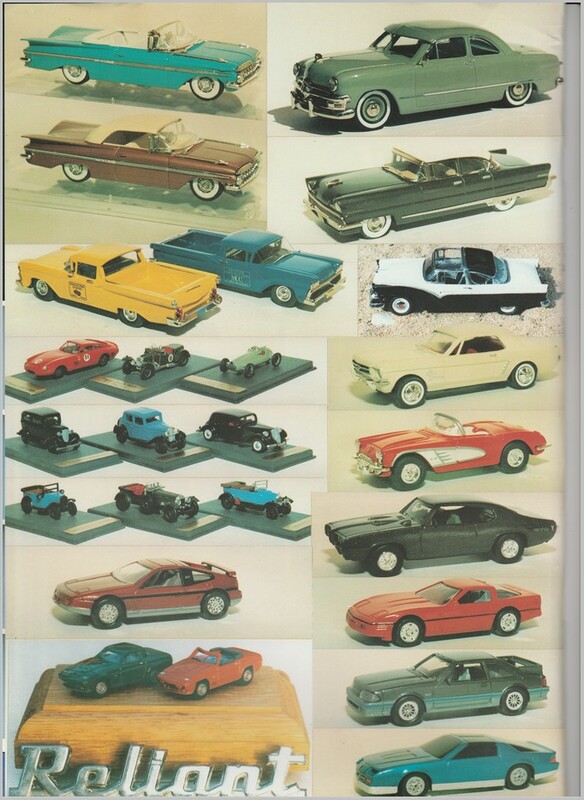 Auto World is both a US store and a manufacturer producing models under Auto World, Johnny Lightning, and Racing Champions brands. 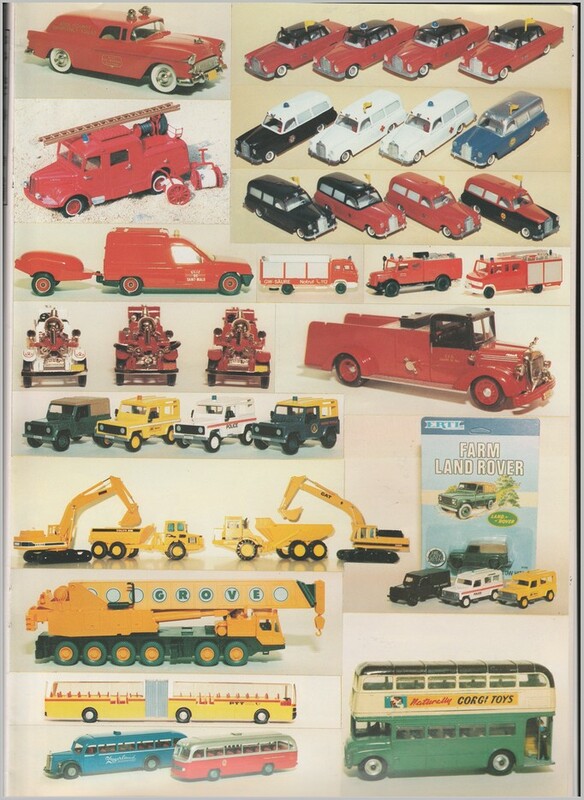 Models cover multiple scales and even include HO scale slot cars. 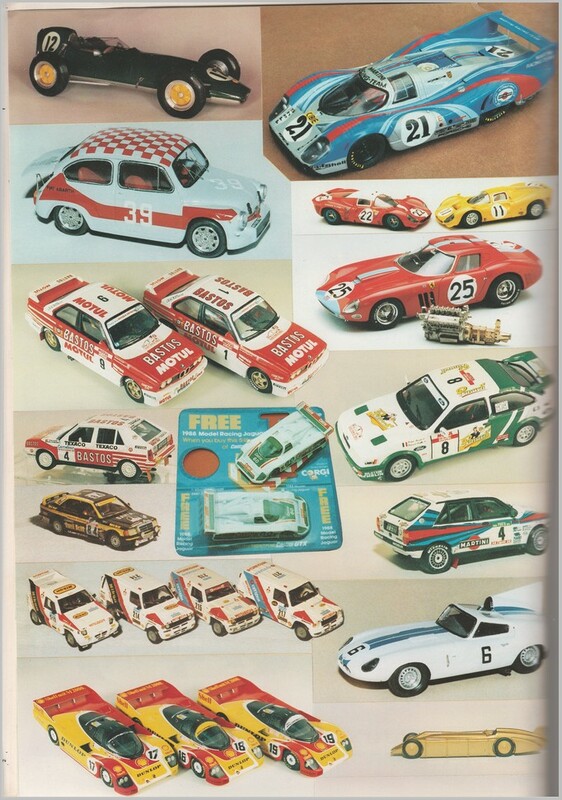 In 1:64 there is a difference between Johnny Lightning and Racing Champions models (made under licence from Tomy who no longer make them) and Auto World ones. 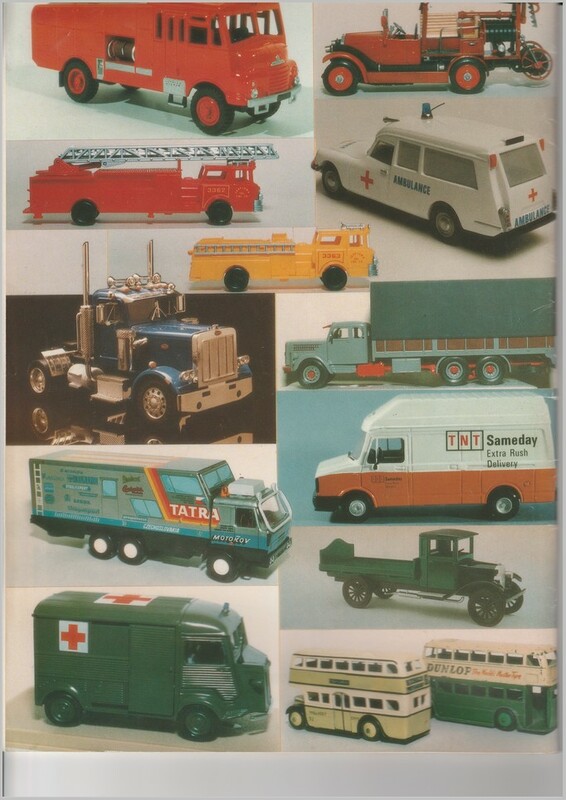 Johnny Lightning continue as they have always done with models of American vehicles with fat speed wheels and some custom finishes to give them on the peg appeal at a pocket money price. 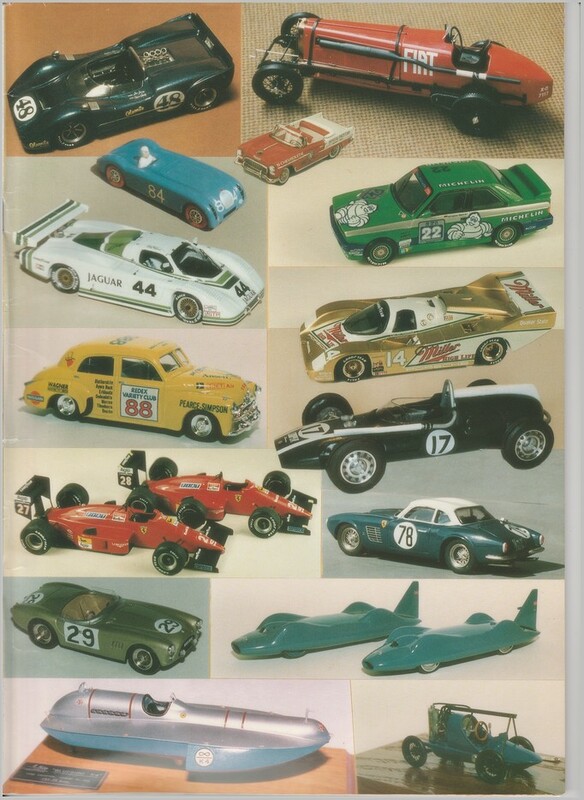 Racing Champions seem to have a less clear cut identity with prices similar to AW and some features like wing mirrors that AW models lack but slightly less detailed models in some cases. 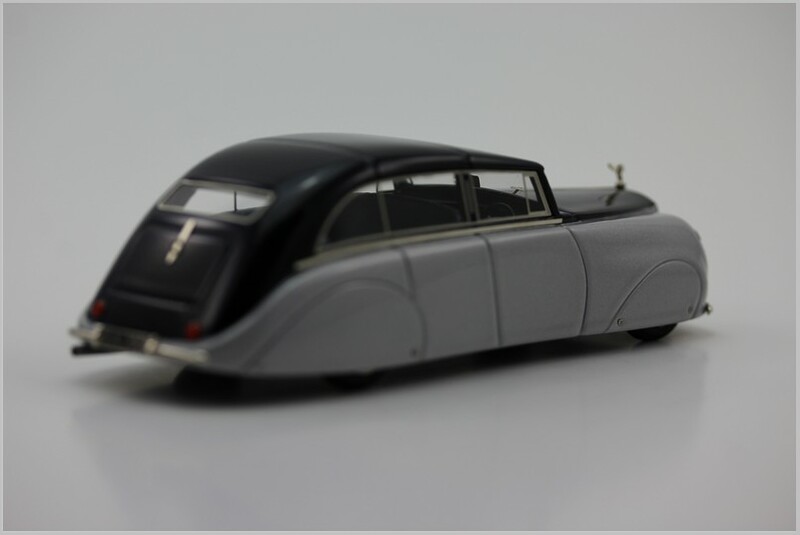 Auto World was created with the collector of classic American vehicles in mind and is a series stated to be to strictly to 1:64 scale and which is finished in realistic colours, with realistic wheels and fitments, and well printed detailing. Its main competitor is probably Castline’s M2 ranges. 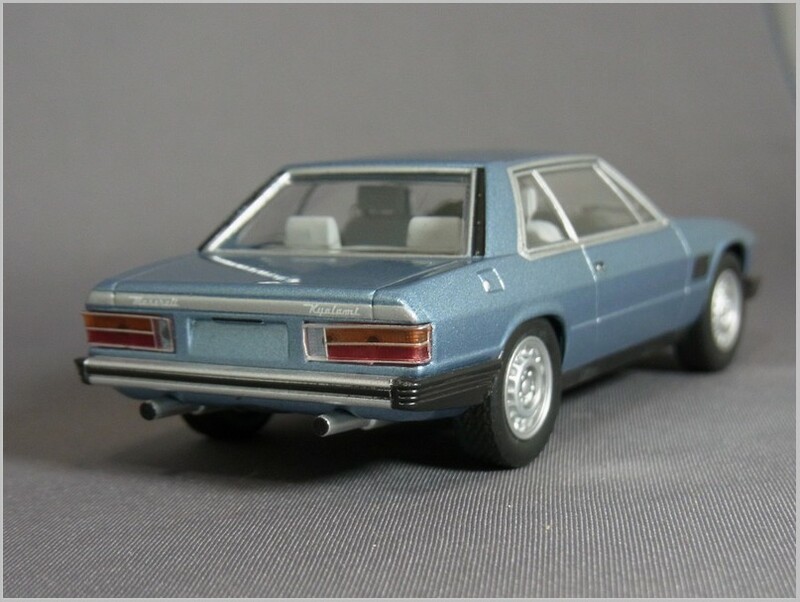 In my eyes Auto World tend to look rather more realistic than M2 because they do not include the opening doors which detract from many M2 models. 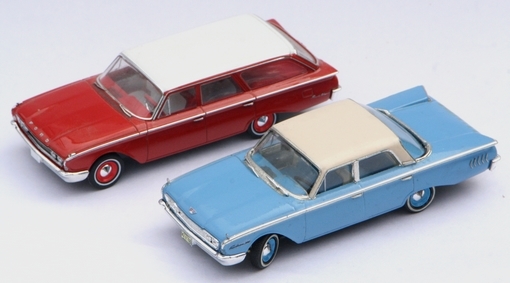 Here I look at two new AutoWorld models which are recolours on existing castings and which I think show how collectable US 1:64 models have become. 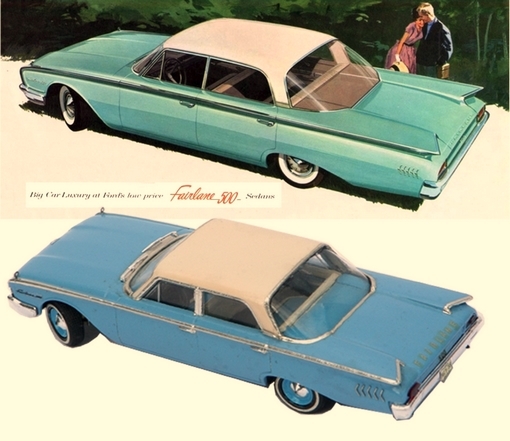 Aware that Ford intended to use its compact Falcon as the basis for a sporty car other manufacturers started to design their own. 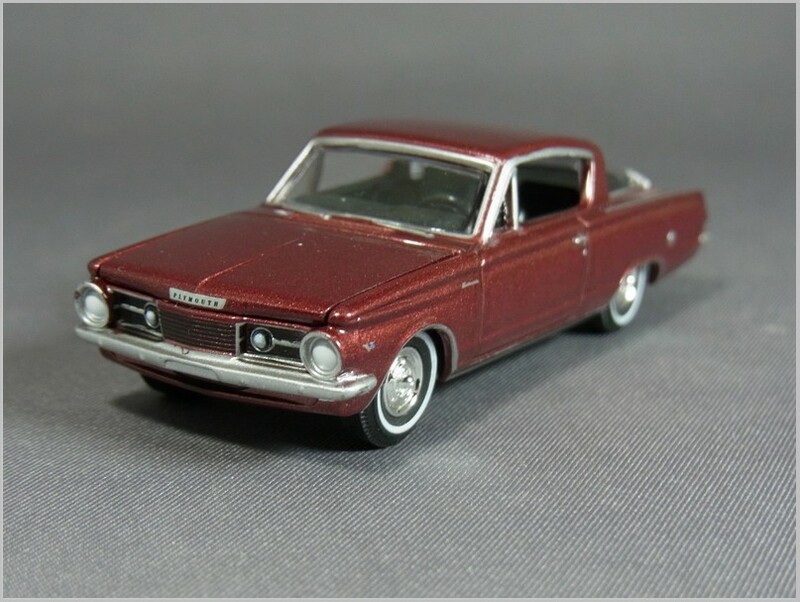 Chrysler created a fastback design based on their new compact Plymouth Valiant. The large rear window was the largest producer for a production car at that time. Engine and gearbox options were the same as the Valiant’s, including two versions of Chrysler’s slant-6 engine. The highest power option for 1964 was Chrysler’s all-new 4.5 Litre V8. Though the Barracuda was launched two weeks before the Mustang it only sold 23,443 units in 1964 compared to Ford’s 126,538 Mustangs. The styling influence lived on with the large rear window being a key feature of the Chrysler owned Sunbeam Rapier and Alpine 1750 Arrow cars. 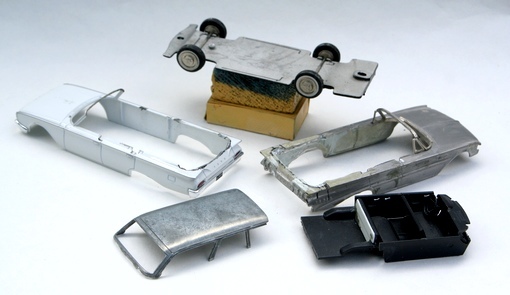 The casting captures the shape of the car well. The printed chrome round the windows is well done as is the rear window surround and fuel filler. 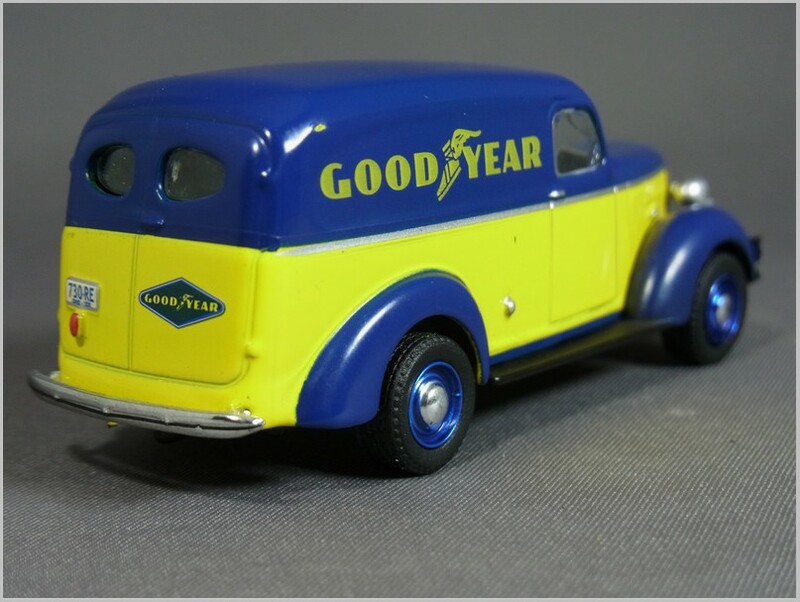 Good wheels have the smaller white sidewalls that emerged in the early 1960s. From the front the grille is neatly moulded in and then black washed and all the chrome printed. 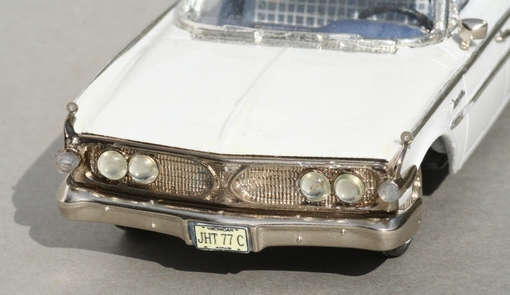 The lights are printed in white which is quite effective and seems to be becoming popular on US 1:64 scale models. Even the moulded in wiper arms are neatly over printed in silver. That huge rear window and all its fittings are nicely caught. 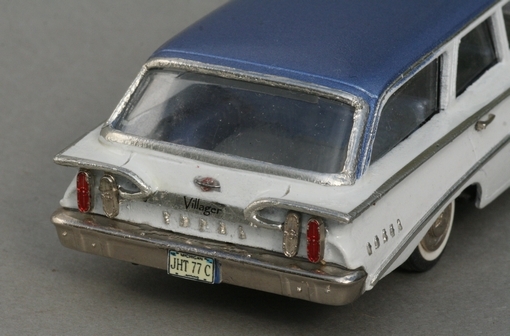 Rear lights are printed on with silver base over printed with light lenses. An effect which is acceptable in this scale. The rear scripts and boot fittings are all printed very finely and all is topped off by a registration plate though there is none fitted on the front. Some attention has been paid to the engine bay which appears to house the optional V8. 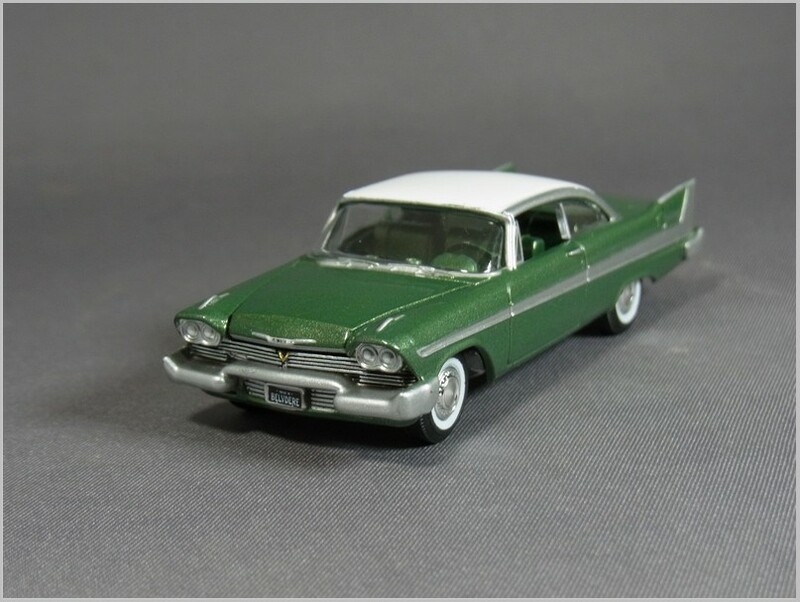 This casting has been seen before in several colours and in the special movie related “Christine” model from the film based upon Stephen King’s book. 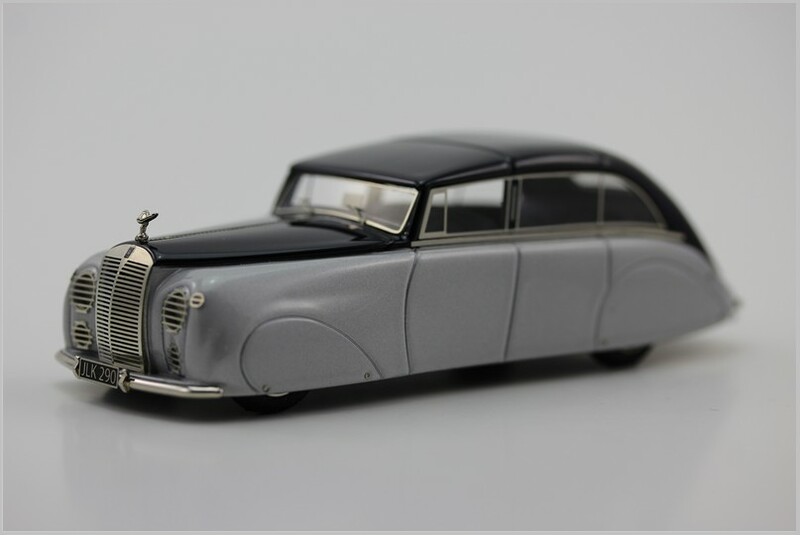 The Belvedere modelled here is the version sold from 1957 to 1959 at the height of the era of Fins as styling statements. The design was so forceful Chrysler advertising was under the strap line “Suddenly, it’s 1960!” In 1958 the Belvedere was the top trim level and was available with a large V8 engine called the Golden Commando. 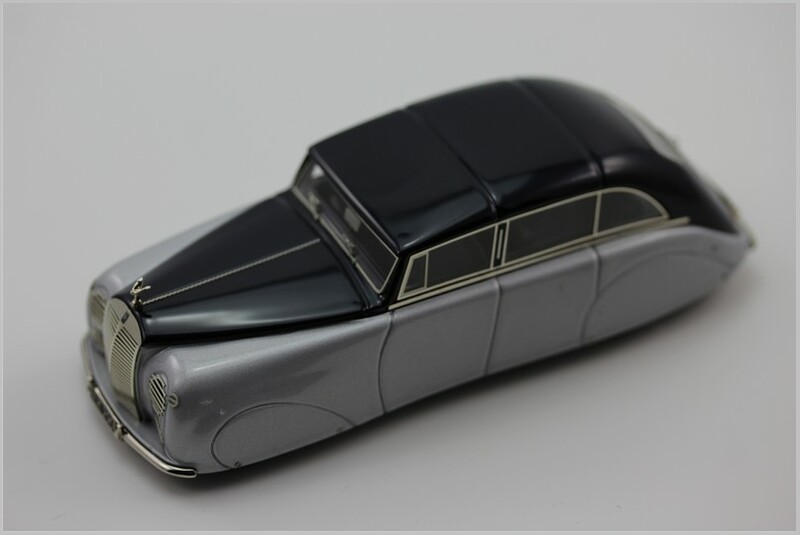 The profile of the car with its jet fins has been nicely captured and the side ornamentation printed well right down to the door handles and the Belvedere badging which can only read clearly if you enlarge photographs of the model. 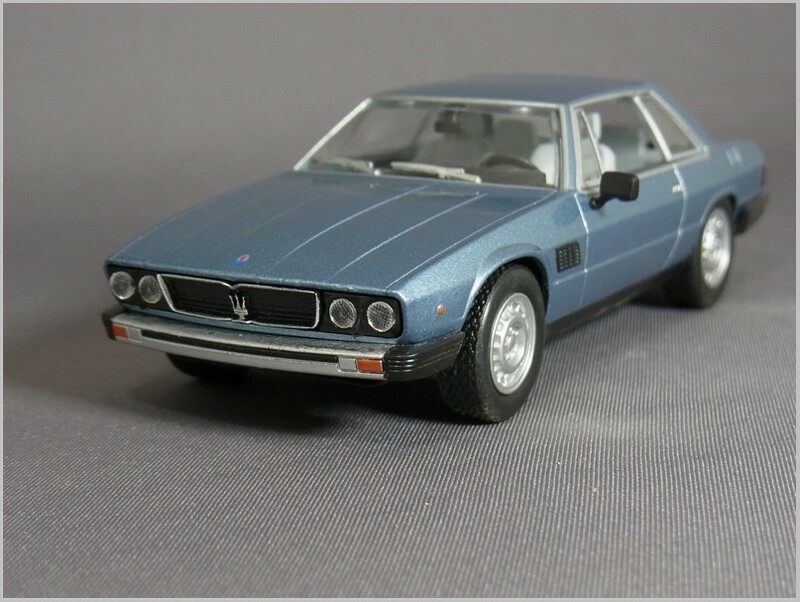 The wheels and tyres are modelled well though a black wash on wheels might make them look more realistic. The front grill and huge bumper are well modelled and this time a number plate is included though it only carries the legend Belvedere. In the centre of the grille the V sign is picked out in gold. 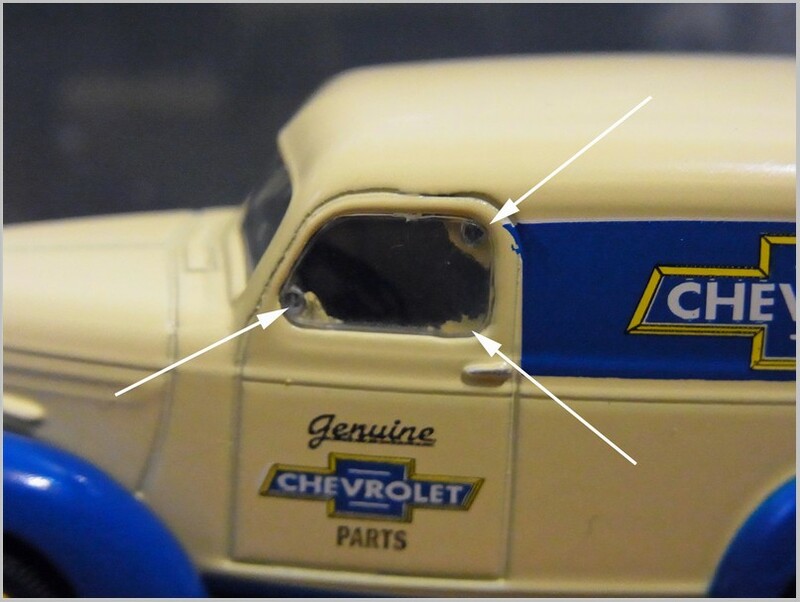 The bonnet emblem is printed over a raised moulding and even has a tiny Plymouth script printed on it much too small for the naked eyes to read clearly. From the rear the excellent printing on the lights, huge bumper, and even the tiny Plymouth script along the lip of the boot, are all clearly visible. 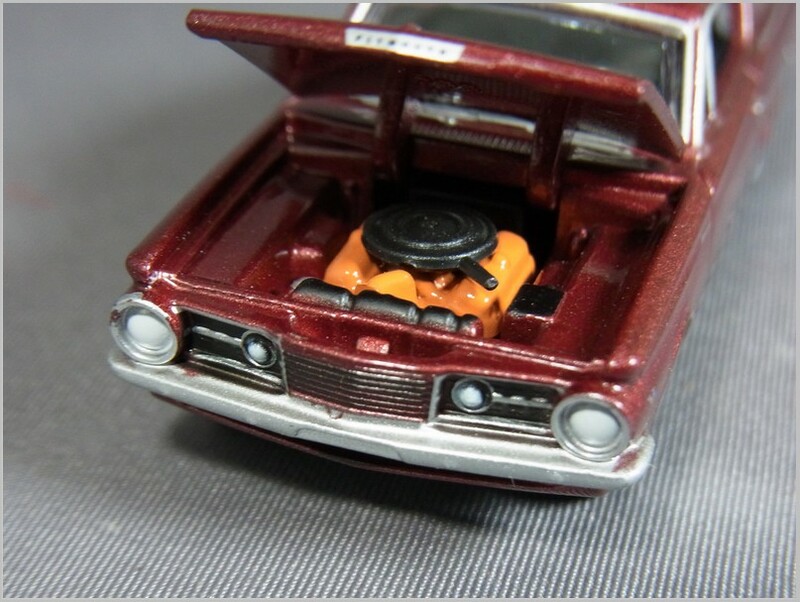 Finally we get the view under the bonnet which clearly houses a large V8 engine painted gold as one imagines that the Golden Commando would have been. Two nice models of classic American cars. We are sorry for the long gap in this series of articles this was caused by the fact that the way that we had been preparing them was very time intensive and was starting to squeeze out other content we felt needed to be posted. So from this posting on we will be posting colour pages and contents details but minimising the analysis of the content. 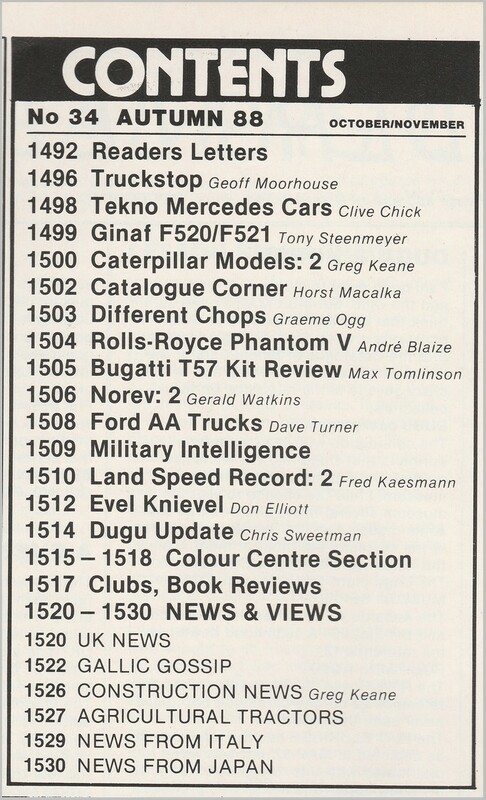 What was happening at MAR in 1988? 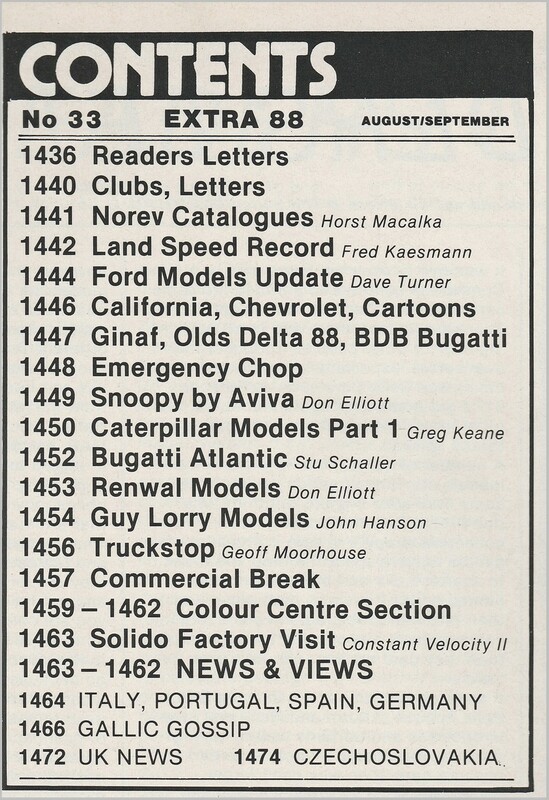 1988 saw an increase in the number of pages in MAR including the inclusion of colour centre pages which would be an ongoing feature. Expert contributors were now contributing regularly and the magazine was now established and developing a worldwide circulation. 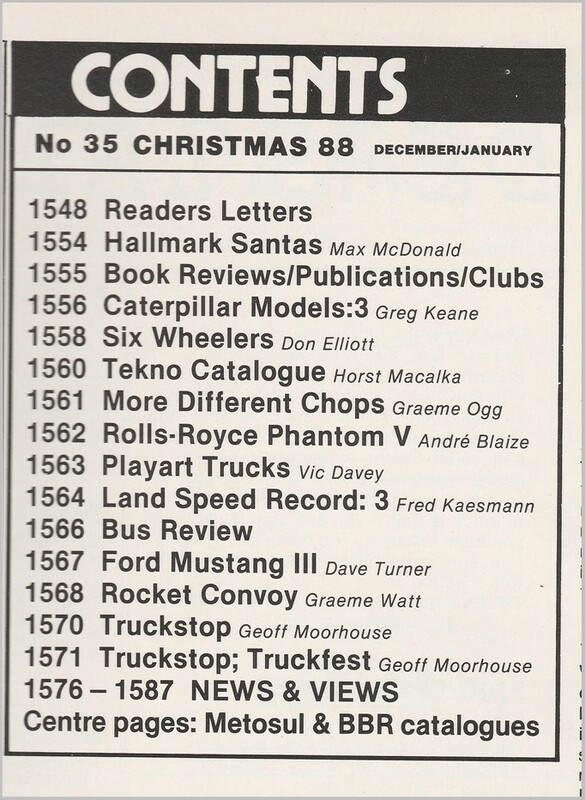 What a year 1988 was! The summer hits of the US and UK were as usual completely different. Over in the US “Roll With It” by Steve Winwood was the biggest summer seller whilst in the UK it was Yazz and the Plastic Population’s “The only way is up”. In cinema a few classics hit the screen in 1988. That included the award winning Rain Man and the first of the Die Hard films which were to become a profitable series for 20th Century Fox. In the US it would have cost you about 3.5 Dollars to see the films and just over 90 cents a gallon to put fuel in the car to drive there. In the computer world the IBM PC was a popular choice and one with a 30 Megabyte Hard Disk, Mono Monitor and 512K Memory would have cost 1,249 US Dollars. If you fancied a new car instead a Ford Taurus started at around 9,996 US Dollars or you could go compact and buy a Volkswagen Rabbit (Golf) for 7,104. In Poland Solidarity were starting their strikes. 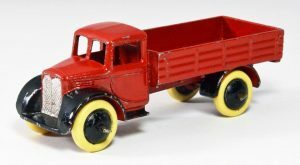 In the pre-WWII days of diecasting, many Dinky Toys, especially trucks, were a blend of several makes that resulting in nice looking models. 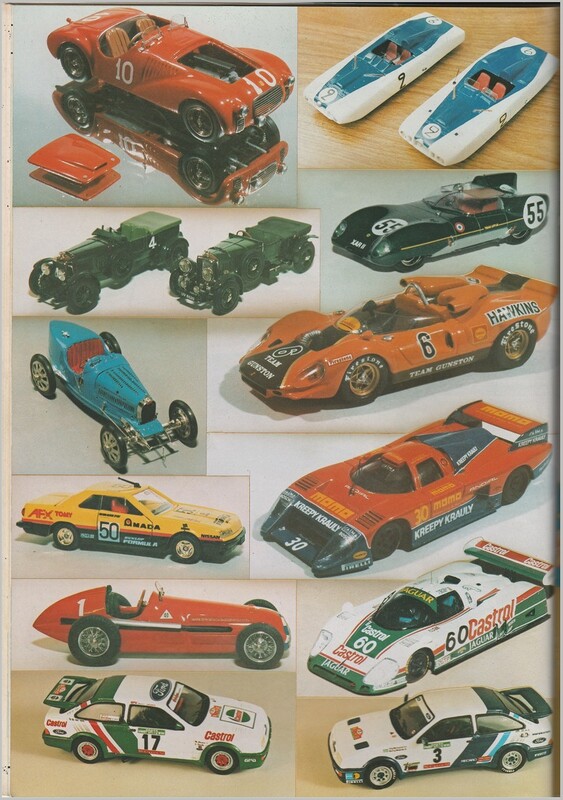 However, these were impossible to link to a particular manufacturer. 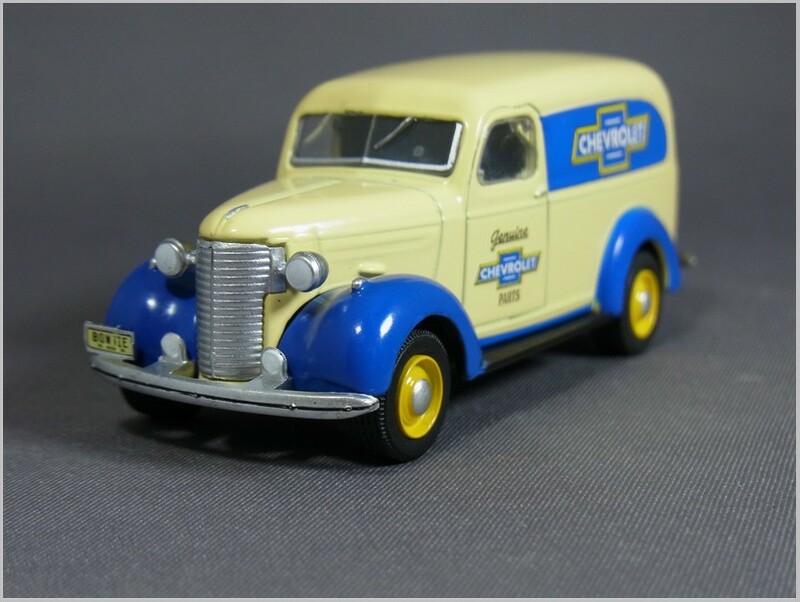 My first example of this is the 22c Motor Truck, first made around 1936, discontinued in 1941, then re-introduced in 1946 for a few more years. 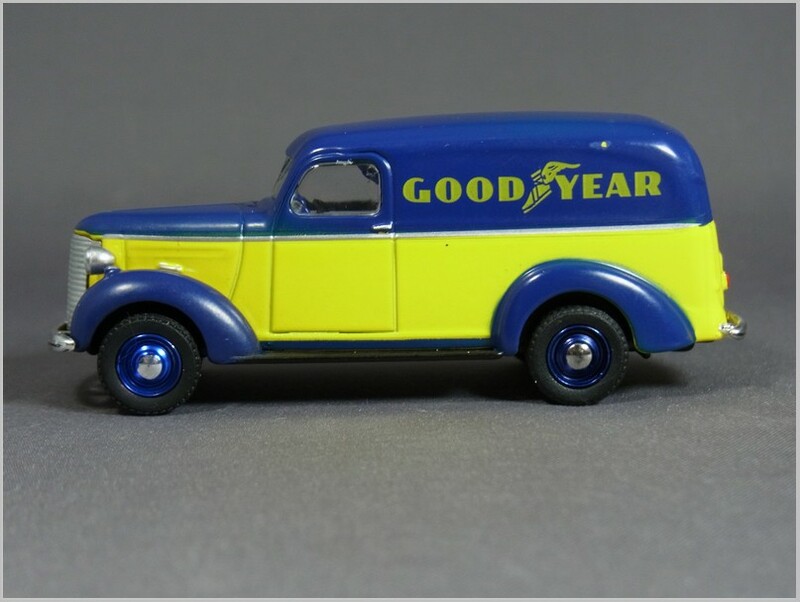 Many ardent collectors have tried searching for a matching prototype, such as a Bedford, to no avail. Headlights, which were separate fixtures in those days, were especially difficult to model, so in some cases, Meccano simply left them off. 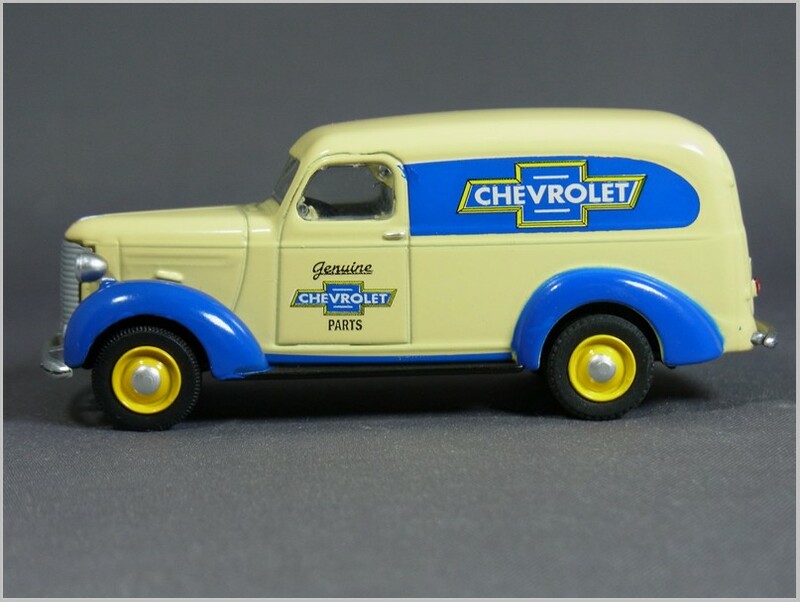 This particular model is a very, very early 1946 issue, as it is still using the pre-war style white tires, the smooth, non-ridged black wheels, and the use of black fenders. The next one is another very early post-war model from around 1945, of the 25s 6 Wheeled Covered Wagon. 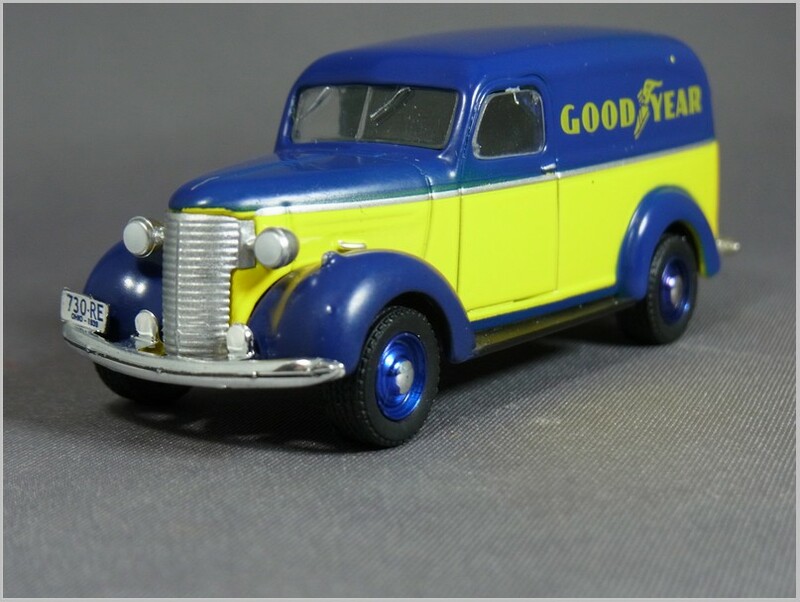 This model was first introduced around 1938, in a military version as the 151b Transport Wagon, and is a somewhat generic design, based on a couple of English trucks from that era. The reason I know it is from 1945: the smooth, non-ridged black wheels, and the very lightly treaded tires… a pre-war item. They used up leftover stock for a very short time after production resumed in 1945. 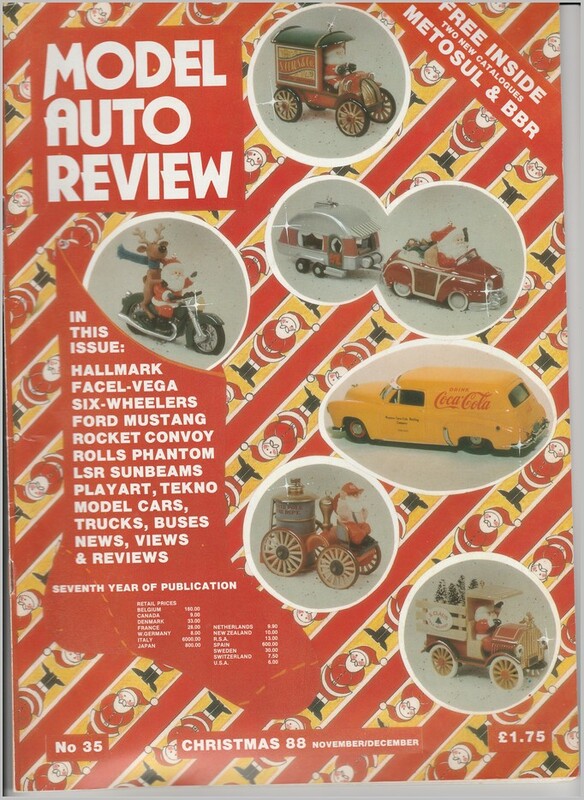 About the earlier military version, one of the 1938 issues of the “Meccano Magazine” stated that this model was “based on several vehicles made in the 6 wheel configuration for the government”. Dinky collectors have found many different photos of similar military transport wagons of that era. 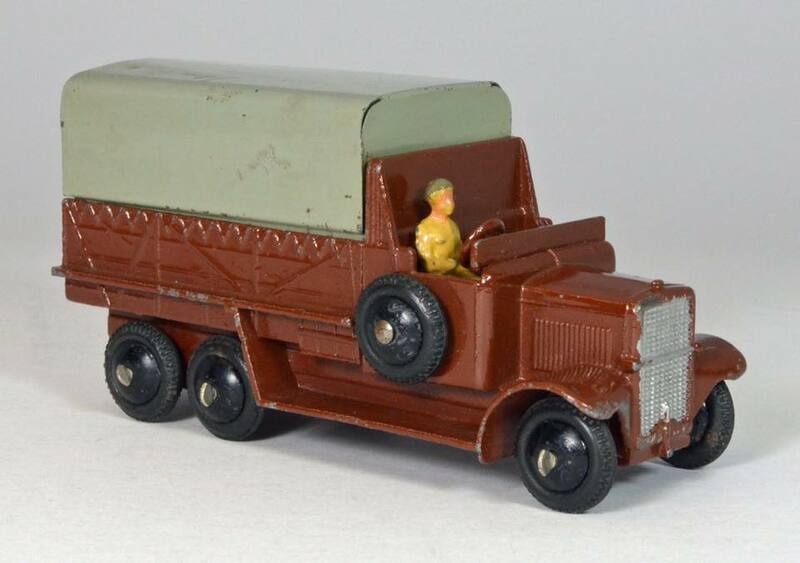 Two of the closest may be a Leyland Terrier (photo) or a Crossley (photo). 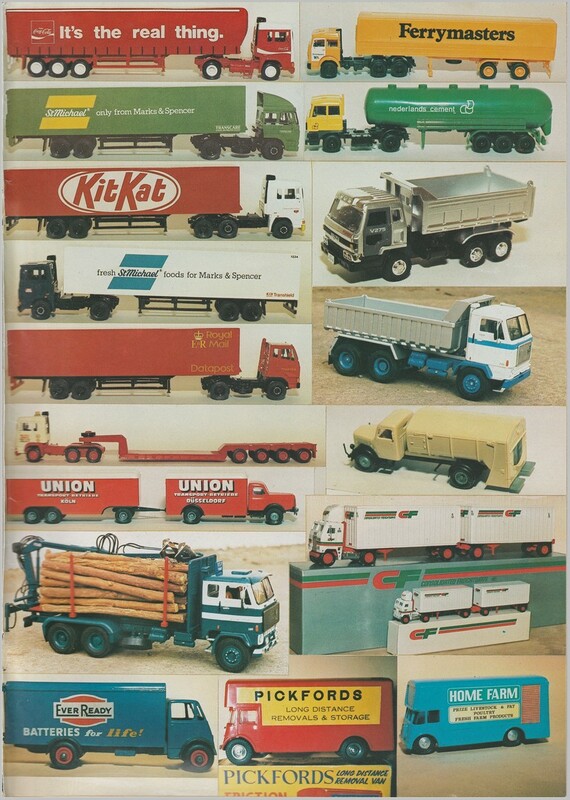 Even though these little models have no true identity, I still love the look and charm of a bygone era….. 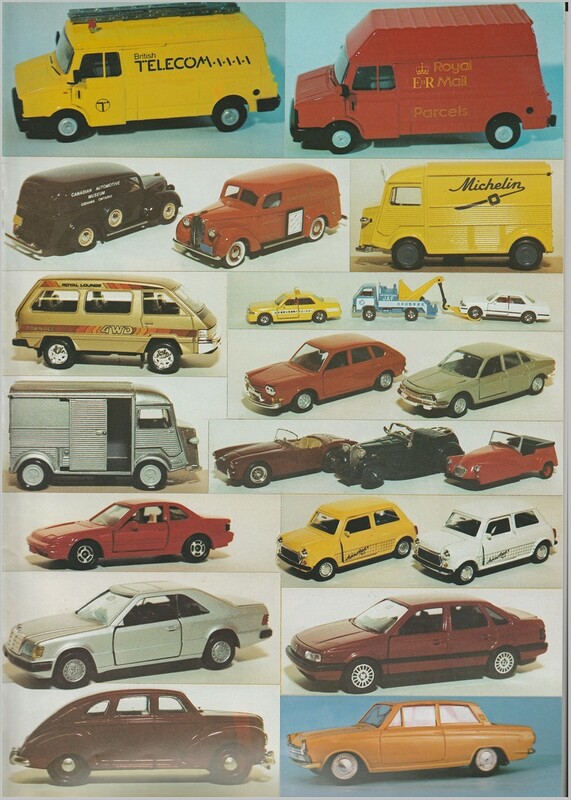 It was the top-of-the-line Volvo station wagon of its era, and the first-ever Volvo estate powered by a six-cylinder engine. 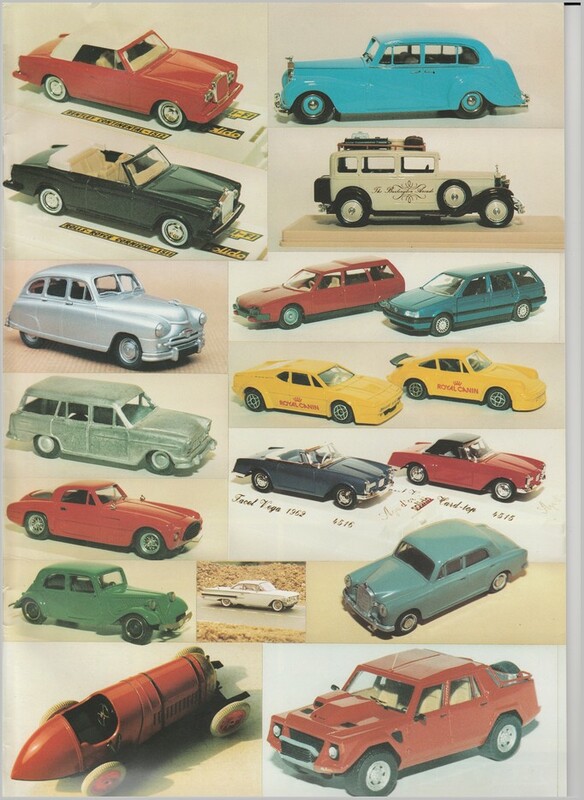 As the flagship of the 240 series estate fleet, most 265 models were heavily-optioned to justify their upscale yet no less utilitarian character. 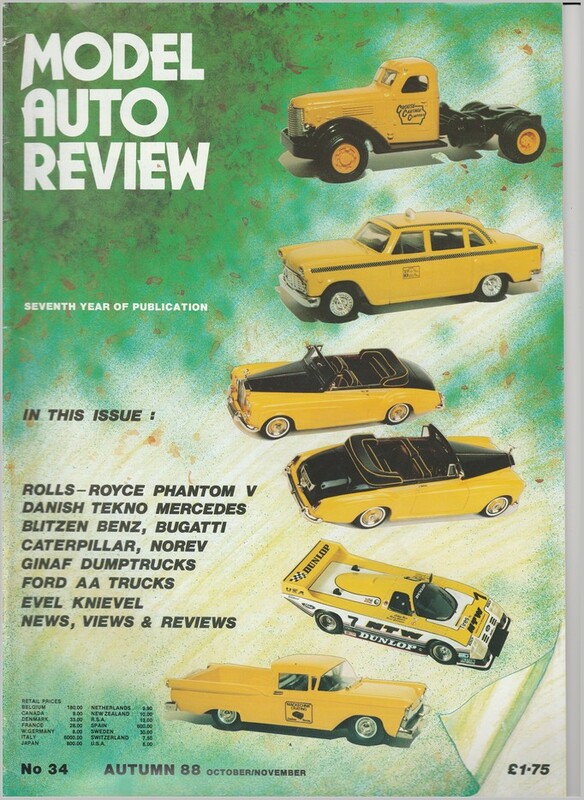 Unfortunately, the 2.7 liter “Douvrin” V6 that Volvo shared with the Peugeot 604 and Renault 30 TS highline models was plagued with lubrication issues that often led to premature valve train failure. Coincidentally that same engine was used in the ill-fated DeLorean sports car. While the Volvo 240 series remained in production thru 1993, the rare and desirable 265 was phased out when the all-new Volvo 760 GLE Estate debuted in 1982. Leather interior and “Corona” alloy wheels were two popular options that most Volvo 265 variants were equipped with. 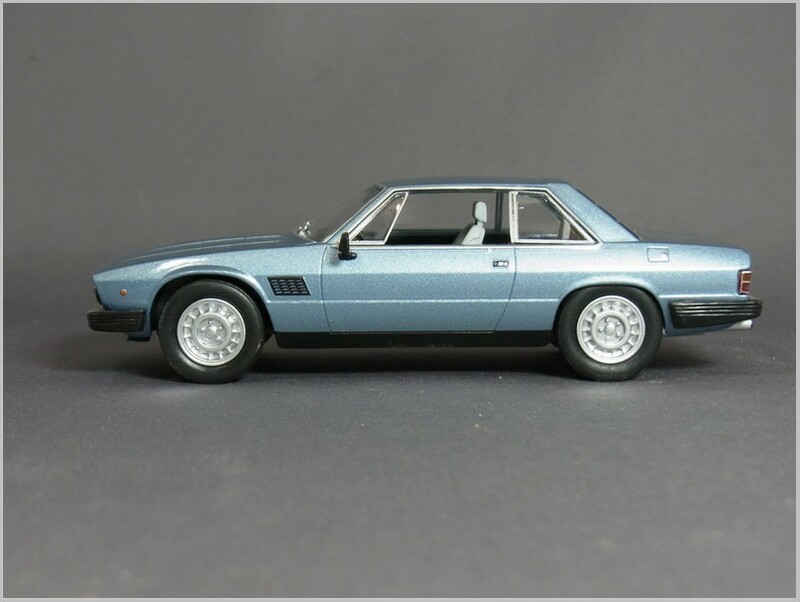 Only the contemporary limited edition Volvo 262C Bertone coupe was more expensive than the 265. 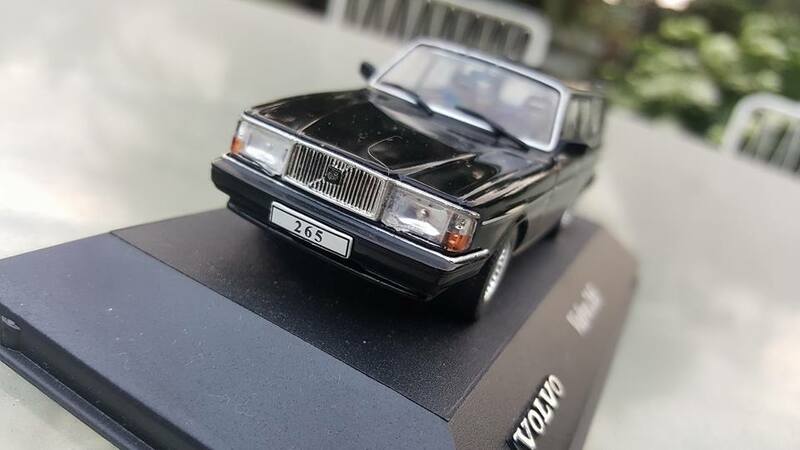 Even Volvo 265 model miniatures are rare. This black 1/43 scale diecast is from the Europe-only Volvo Atlas Editions line and could be obtained only by subscription a few years ago. Even today, it seldom turns up on the secondary market. 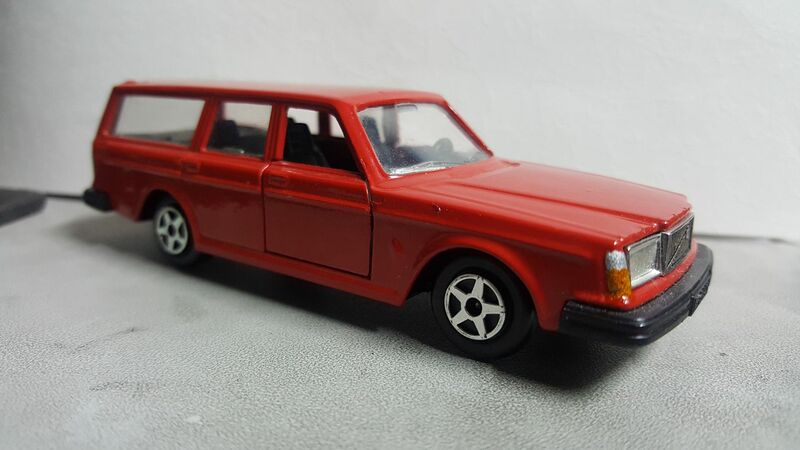 Aside from this Atlas Editions 265, the only other genuine Volvo 265 model miniatures are the vintage Norev 1/43 scale wagon erroneously labeled as a “264” sedan (the Norev wagon and sedan use the same baseplate) and the even older Dinky Volvo 265 DL Estate in 1/36 scale, one of my all-time favorites. The raised leading edge of the”Coffin Nose” hood and exclusive grille of the 264 sedan and the 265 wagon (used also in some early-to-mid eighties North American-spec 240 four cylinder models) exuded elegance and power. The less expensive four cylinder Volvos from this range had a flat hood and less chrome on their grilles. 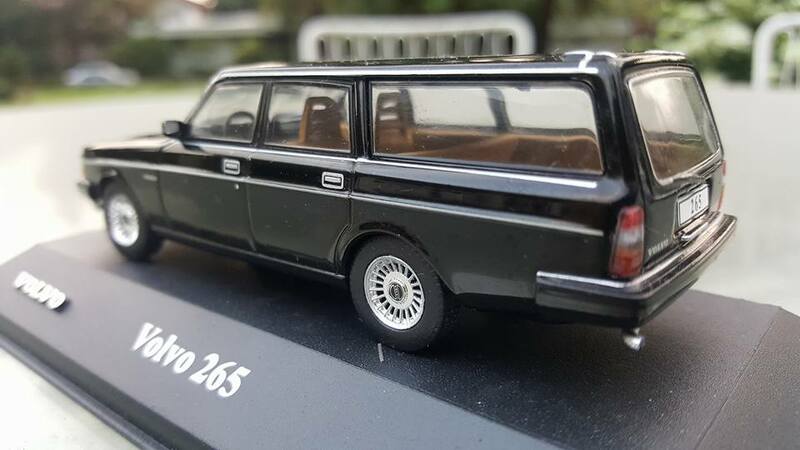 The Atlas Edition Volvo models came with a really cool black plinth that featured a separate plastic chrome Volvo emblem. Unfortunately, the Atlas Volvos did not come with their own clear acrylic cases. This is the COMPLETE line of Dinky Toys Volvo 265 DL Estate variants, produced from around 1977 thru 1979 when the original Dinky Toys entity owned by Meccano Ltd. went out of business. 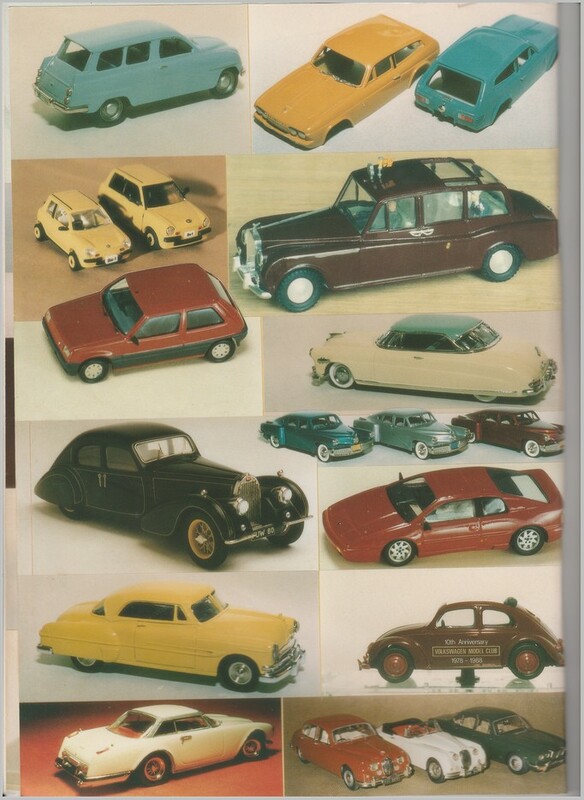 All the Dinky models in this pic were made in England, except two, namely the orange civilian car in the center and the white police car on the extreme right, which were made in Italy because the Dinky Binns Road factory in the U.K. had closed down by then. 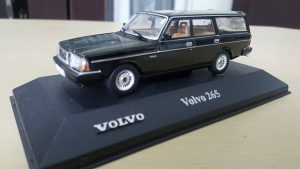 In the late seventies/early eighties Norev of France came out with a 1/43 scale Volvo 264 sedan, and soon after a Volvo 265 wagon variant was released. 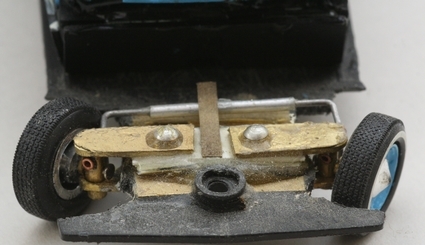 The latter was erroneously labeled also as a “264” because both sedan and wagon used the same “Volvo 264” baseplate. While most of these vintage Norev pieces were made in France, this particular example has a baseplate that says “Made in Portugal”. Strange indeed. 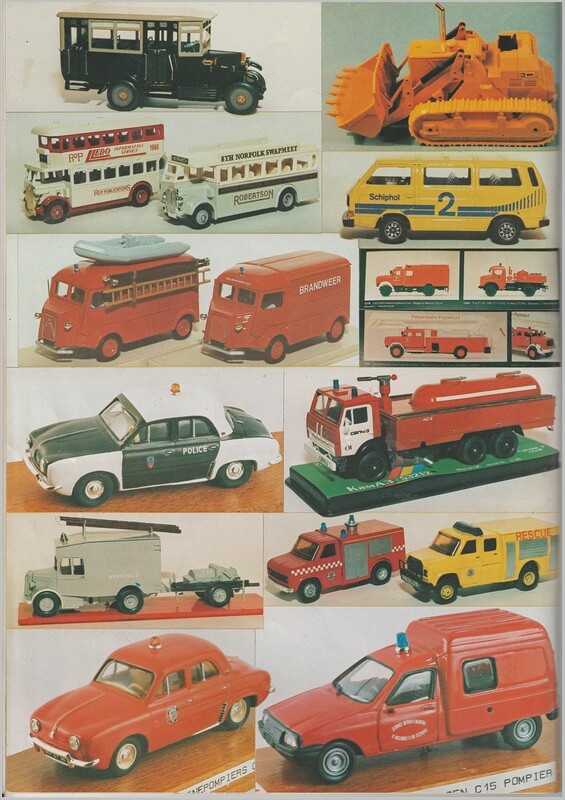 This is the only Norev model I know of that was made in Portugal. 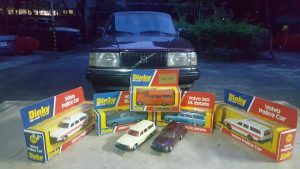 This Atlas Editions, Dinky Toys, and Norev are joined in this topic by another Volvo wagon, my personal 1:1 scale Volvo 240 wagon, a 1992 U.S.-spec 5-speed manual car named Queenie. My wife likes the car because its lack of performance keeps me out of trouble! 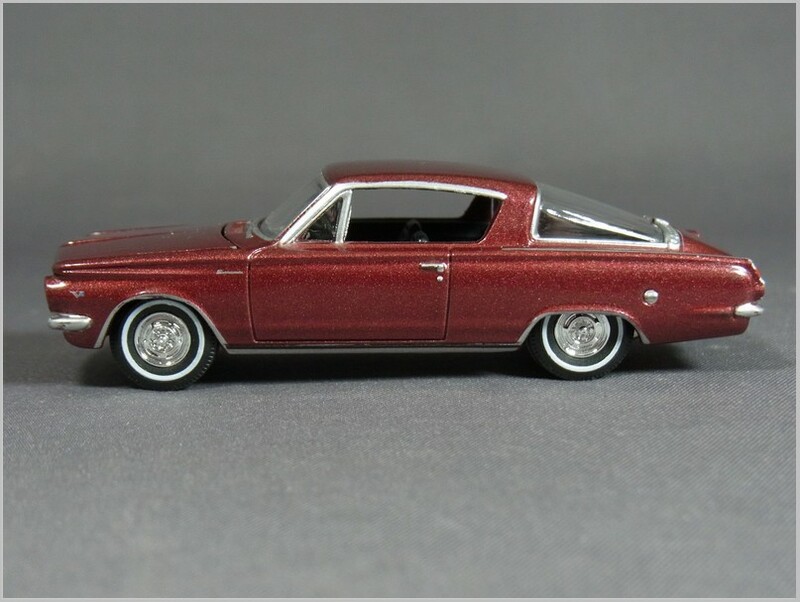 If you notice the #409 Wine Red Metallic Dinky in the photo above, it is customized with the same paint as my car in the background. We used the same paint to re-shoot Queenie last year. 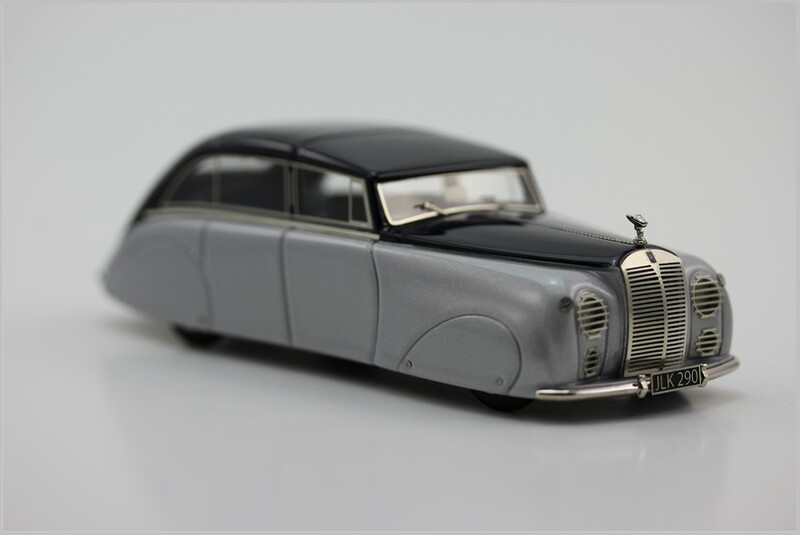 Thorsten Sabrautzky of Autopioneer has been in touch to point out that his new range of models is made in Europe, but not in Germany as I stated in the recent article. I have updated the original articles and apologise for any confusion my error may have caused.